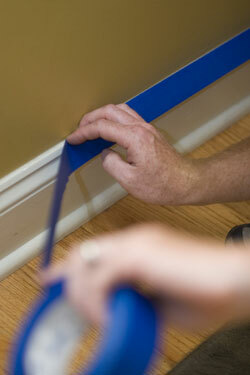 The Room Remedy ltd. specializes in custom interior painting and molding installation. We focus on value-added home/office projects such as decorative wall finishing, crown molding installation, and wall and ceiling restoration. Our time-tested painting and decorating techniques will provide you with top-quality results at an affordable upfront rate. We are fully insured and always provide free informative estimates. Your home or office will be respected and protected, and left rejuvenated--I guarantee it! Our solid network base can help to refer a reliable sub-contractor for those more involved projects. Just ask! The Room Remedy Ltd strives to provide superior craftsmanship and informative customer service with practical decorative suggestions. Specializing in Interior Painting and Molding Installation The Room Remedy strives to provide superior craftsmanship and informative customer service with practical decorative suggestions. Reviving rooms across Chicago land for over 10 years.